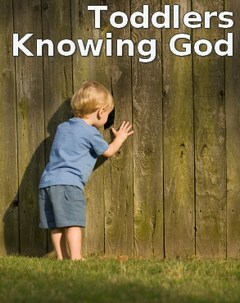 This is the third lesson plan in our series titled, “Toddlers Knowing God.” Each of these studies help children age 18-24 months better understand the character & nature of God. Click here to see the main index for these Bible lessons. This particular lesson is based on Psalm 18:28; 27:1. In very simple language, it shows how God can guide us and chase away fear. Main Idea: God is our Light. Do not be afraid! God chases away the darkness. Supplies: Bible, Picture of the sun. See additional activities for other supplies and preparation. DO: Pass out the flashlights and/or glow sticks. Turn off the lights (if there are windows, you can turn them all off. If not, leave some light on to prevent tripping/falling and fear.) Let the children shine them around the room or wave them in the air. Discourage them from shining at each other. DO: Hold up each picture and ask them if they recognize it. If not, tell them what it is and describe what it does (ex. God made the sun. The sun gives us light so we can see in the day.). SAY: God is our Light. We never have to be afraid because He chases away all darkness! SAY: Lots of things give us light! God is our Light. Do not be afraid! He chases away the darkness. Let’s walk around the room and see what gives us light! DO: Show them the different light sources. Turn them on and off to demonstrate how they work. Let them try. See if they can find the sticky notes around the classroom without your help. Ask them what each item is several times and see if they can learn a new word. This activity can also be done in an unstructured way. While the children are playing, you can simply point them to the sticky notes (one-on-one), describe them, and repeat the main idea. SUPPLIES: Song, This Little Light of Mine, Shine Jesus Shine, or one of your choosing. SAY: God is our Light. Do not be afraid! He chases away the darkness. Let’s sing about God being our Light! DO: Turn on the song. Sing and dance to the music! SUPPLIES: Various toys from around the room, flashlights. DO: Hide the toys in front of the children so they will not be too hard to find. Give each child a flashlight and turn off the lights (all of the lights if you have windows. If not, you want to keep a little light in the room so they are not afraid and to prevent tripping/falling.) Instruct them to look for each of the toys you hid with the flashlight. Help them look! SAY: Everywhere we point the flashlight, the darkness goes away. The light helps us to see so we can find our toys. God is our Light! He makes all darkness go away! He helps us see all truth! Hold hands or bow your heads together (just demonstrate and ask them to do the same. Some may, most may just watch.) Say a short prayer like the following: Dear God, you are our Light. We do not have to be afraid because you chase away all darkness. We love you! Thank you for loving us. Amen. Sing Jesus wants me for a sunbeam. Gave them 3×5 card with Bible verse on it and when they came to hear the Bible verse they get a sun sticker to put on card. Tony Kummer (Editor) reviewed & updated this page on : July 11, 2012 at 10:32 am. All our content is peer reviewed by our readers, simply leave a comment on any post suggest an update.